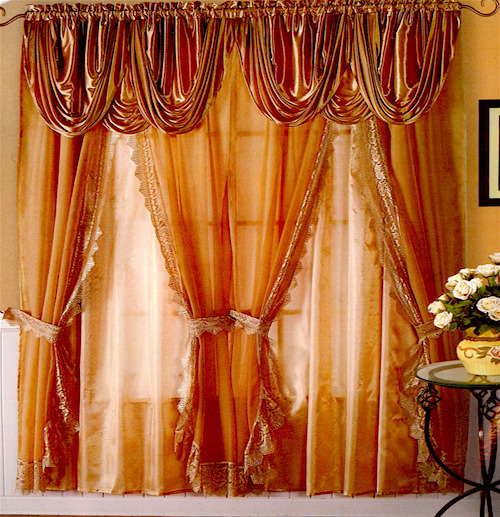 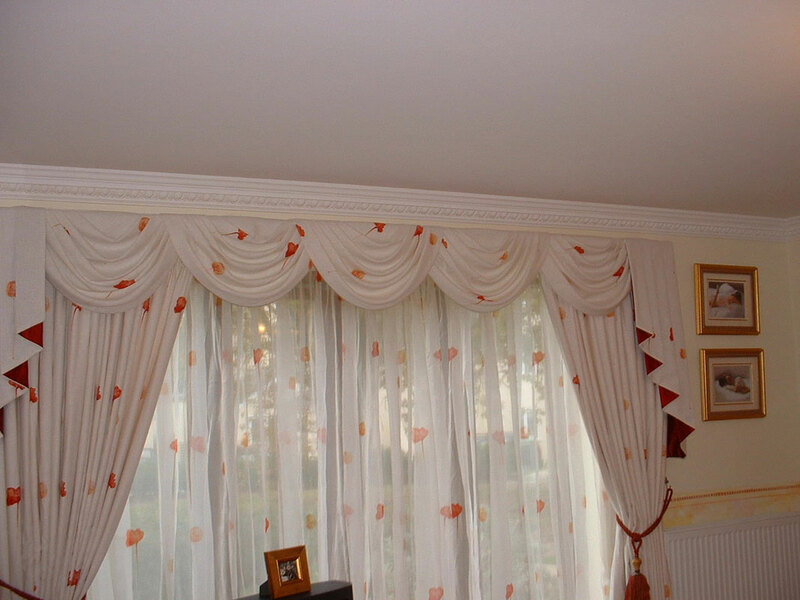 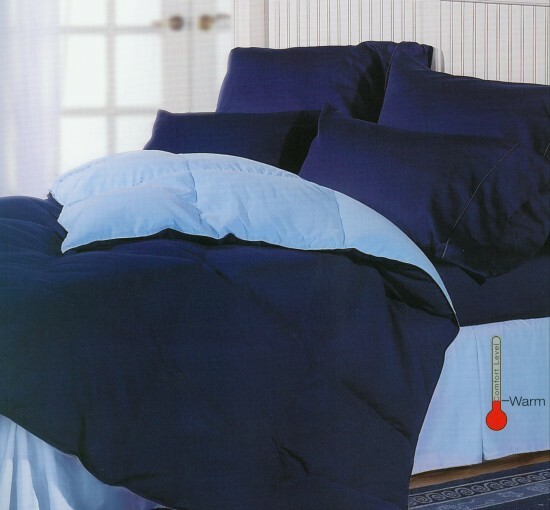 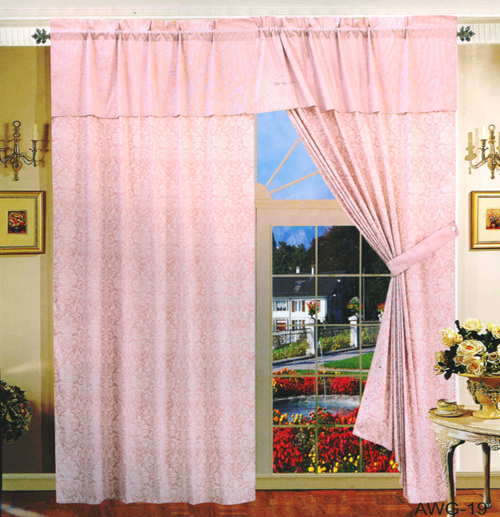 This gorgeous April fine polysilk curtain comes with 2 curtain panel, 3 waterfall valance. 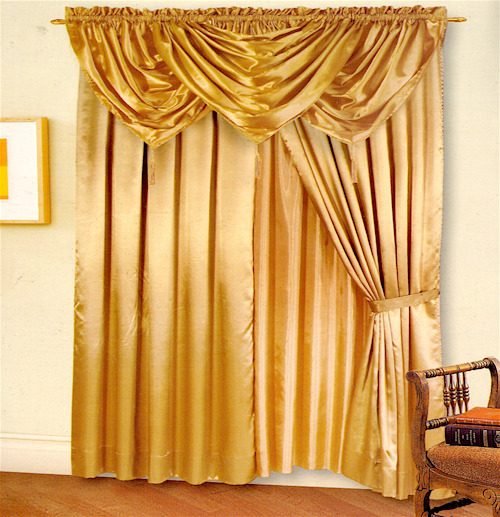 It comes in a 60x84 dimension. 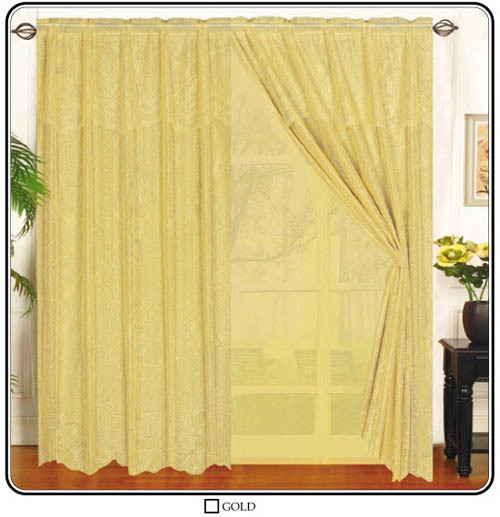 This luxury Mandy voile curtain with attached valance and liner contains 2 pieces curtain and 4 tie backs and is elegant. 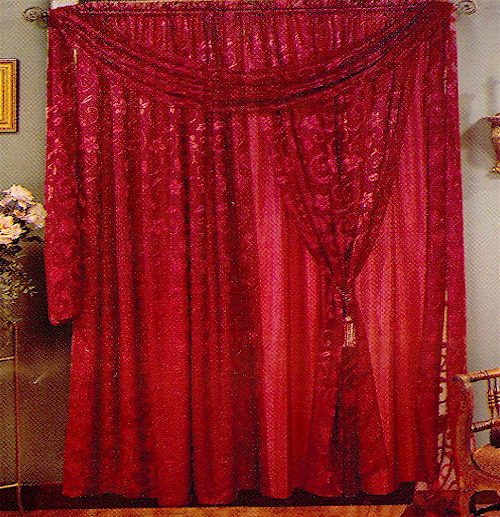 It comes in a 120 x 84 dimension.